You can see some success with a home teeth whitening kit, but these kits are generally ineffective and overpriced. If you want true teeth whitening results, it’s advised that you have your teeth whitened by a professional dentist. Here at Dental Innovations, we utilize Philips Zoom Teeth Whitening. Zoom is a powerful teeth whitening method which has been proven to whiten teeth by up to 8 shades. Interested in taking advantage of Zoom Teeth Whitening in Chicago? Schedule an appointment with us today! Though having white teeth isn’t an absolute necessity, most people tend to prefer the aesthetic of white teeth over yellowed teeth. Because of this, teeth whitening generally results in a subjective improvement of your physical appearance. What are the benefits of an improvement in physical appearance? Improved self-esteem and improved confidence. Whitening your teeth can not only help you on a psychological level, but on a social, professional, and romantic level as well. In essence, if you want to improve these aspects of your life, having your teeth whitened can help. There are several stages associated with the professional teeth whitening process. Below, we’ll discuss those stages in detail. The first part of the Zoom teeth whitening process is the dental consultation. You will schedule an appointment with our dentist, at which time he will examine your teeth and gums, and ask you a variety of questions. This is done to determine whether or not professional teeth whitening can actually be of realistic benefit to you. Teeth whitening is effective, but in certain circumstances there are limitations. If your dietary habits are poor (i.e. smoking regularly, drinking a great deal of soda or coffee, etc. ), teeth whitening may not be a realistic choice for you. If you and the dentist decide that a teeth whitening procedure is right for you, you will schedule an appointment for the procedure itself. At this procedure, you will have your teeth cleaned and then whitened. Once your teeth have been properly cleaned, the dentist will apply the Zoom gel to your teeth. This gel is a hydrogen peroxide mixture that is both safe and effective. The Zoom gel will sit on your teeth for 15 minutes at a time, while a laser will shine on your teeth in order to expedite the process. During the procedure, you will be given three whitening treatments. Typically, the procedure lasts around an hour in total. Just because the procedure has ended doesn’t mean that your responsibilities have ended. After the procedure has been completed, you will need to take measures to maintain the whiteness of your teeth. You will need to maintain your teeth with a home whitening kit that will be provided to you. You’ll also need to avoid soda, cigarettes, and other substances which cause your teeth to become discolored. It should go without saying that you’ll also need to maintain a regular oral hygiene routine, brushing your teeth, flossing, etc. It’s also advised that you utilize a specialized whitening toothpaste. Again, a teeth whitening procedure is not a miracle procedure. In order for it to be effective, you will need to take proper care of your teeth and gums. Schedule Your Zoom Teeth Whitening Today! Getting ready for a wedding? Want to look as good as possible during your job interview? Zoom Teeth Whitening can help. 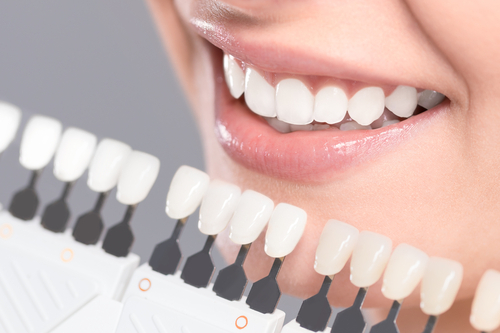 If you’re looking to try Zoom Teeth Whitening in Chicago, the professionals here at Dental Innovations are the people to see.